There’s no doubt that if Liverpool are going to compete for a top four position, they will probably have to dive into the transfer market and improve. Right now, it seems as if James Milner of Manchester City and to a lesser degree Fabian Delph of Aston Villa are their preferred targets. Both players are out of a contract by the end of the season, which suggests their clubs aren’t all that interested in signing them, and are open for business, although it’s not going to be for too much money considering they can be signed for nothing if teams are patient enough to wait for six months. 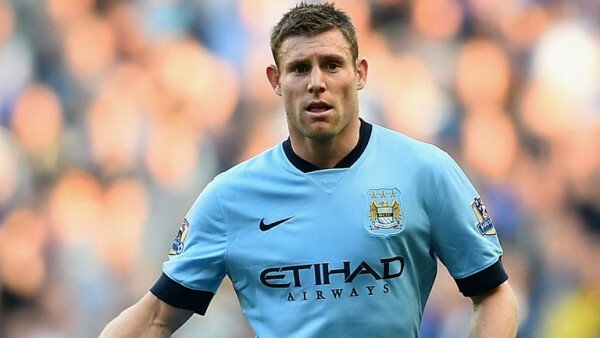 Milner has never been a regular lineup player for the defending champions, but has always been one of the more useful players in their squad, capable of playing any position in the midfield and also defensively if necessary. He has appeared 18 times for the club this season in the league, providing six assists, and bouncing in and out of the starting XI, although it’s rare to see him not being involved, even if he starts the match on the bench. Delph (25) is three years younger than Milner and provides a bit more vision and dribbling skills, but isn’t as quick or hard working on the pitch as the more experienced England international. He has appeared 11 times for Villa in the league this season, missing a big chunk of matches due to injuries. He has been capped four times by Roy Hodgson recently, and like Milner began his career through the Leeds youth setup. These two might not be the players to transform a team instantly, but both are very useful to have as part of a rotation. Milner, in the current Liverpool situation, is guaranteed a place in the lineup, and is very easy to move around because of his willingness and adaptability to fill out any role, doing it quite well regardless of where you put him on the pitch. For Delph it’s a bit more clear – Central or defensive midfielder. Liverpool aren’t exactly missing players in the middle of the pitch, but most have been really delivering what’s expected of them. If Lucas continues to start for the team, that says it all.